Using drone cinematography for commercials to market brands and products is becoming very popular. Drones now have terrific stabilization and cameras to film professionally. They are widely available and very reasonably priced. Now generally drones are used to do the filming. However, there have been a number of very creative advertisements where drones filmed the ad and also starred in the ad. Here we have a few terrific commercials which show how drones were used in many creative ways for the auto industry. For most people, drones are viewed as sophisticated high technology. People also find drones quite intriguing. They are also attention grabbers and for some, drones have a sort of mystery about them. I love the first drone video below which is a take on Alfred Hitchcock’s “The Birds” movie. It is also noticeable that manufacturers are giving their drones an almost human look to them which you can see in the DJI Inspire 1 or the Ehang Ghost drone. This is quite important to break down any sort of fear against these flying machines which some day may be delivering our pizzas. You certainly want a friendly looking drone delivering your pizza and parcels. I hope you enjoy these very creative uses for drone for marketing purposes. Now, this first advertisement is pretty creative. This commercial uses quite unfriendly, intimating, robotic looking drones to play on people’s fears about drones going crazy, taking over our skies and attacking us. We are then introduced to the real brand which has very advanced high technology which is not one bit intimating. The Audi A6. Regarding technology, if something is well designed, then it will be easy to use no matter how advanced the technology is inside. Drones in particular the latest technology and are getting easier to fly and film with with every new drone coming to the market. 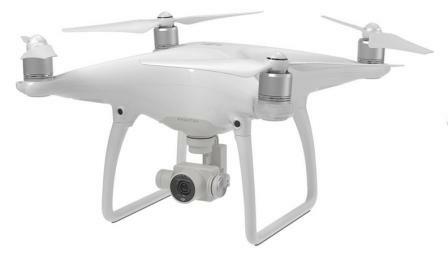 The latest DJI Phantom 4 Pro drone has real obstacle sensing technology which means it recognizes it’s surrounding and avoids crashing into things. It is very easy to fly and has many safety features. It’s stabilization is perfect and it films beautifully. When it comes to the auto industry, we might see them taking some of the obstacle sensing science from the latest drones and adding it to cars to also make them a lot safer. The best drone on the market for filming commercials has to be the DJI Inspire 2. It is also the most innovative drone to date and was designed specifically for professional cinematography. The Inspire 2 comes with a ground gimbal so you can just remove the camera and slot it into the ground gimbal. This means that you can use the Inspire 2 for both aerial and ground shots. Watch this short film called The Circle which was filmed 100% with the Inspire 2. Both ground and aerial shots. The quality is pure Hollywood. The Inspire 2 has an all-new image processing system which records at up to 5.2K in CinemaDNG RAW, Apple ProRes. The Inspire 2 has so many terrific features and filming capabilities. You can read more on the below link. Marketing concepts are becoming more creative and sophisticated. In this commercial or short film to be more precise, ‘Amazing In Motion – Swarm’ is about amazing technology, design, art and creative innovation which are all design principles of the fantastic Lexus brand. Now, here is a really exceptional commercial using drones from Lexus. I would say that the teams from DJI and Lexus are well matched in their passion for beautiful design, creative innovation and amazing engineering. In “Swarm,” which is the second project in Lexus’ “Amazing in Motion” campaign, Lexus and KMel Robotics presented the above playful story of quadcopters exploring the city at night while we sleep. This next video describes the technology and the making of the ‘Swarm’ which is pretty fascinating. For anyone who loves marketing this should be a terrific inspiration. 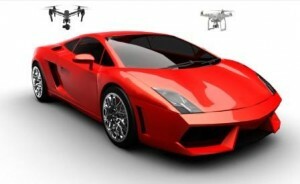 The above videos are very creative and used drones in quite an unexpected way to market auto brands. The next videos show the real power of drones in taking great aerial videos of the features and driving abilities of the auto brand. A few years ago, a helicopter and crew would be required to film these commercials. In 2016 and so far in 2017, we have seen a number of drones which have perfect stabilization gimbals and can can film in 4k UHD quality. 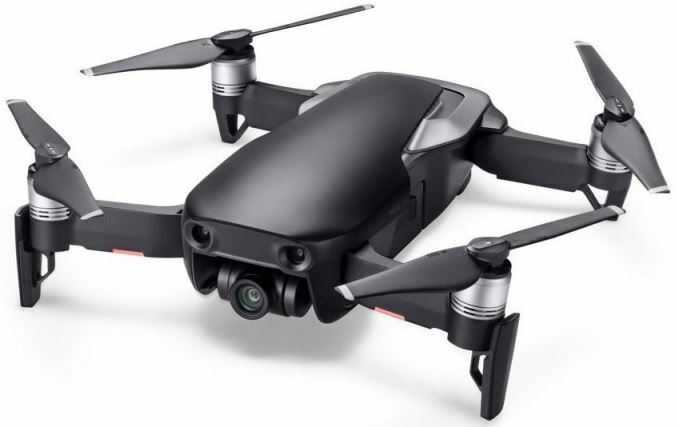 Perhaps the best drones for filming commercials at the moment are the Spreading Wings S1000+, Inspire 1, Inspire 2, Mavic Pro and Phantom 4 Pro. These drones from DJI are the best on the market. However, Walkera, Yuneec and 3DR have also got some great quality drones for aerial filming. The below is press event footage of the Fiat Panda 4 X 4 Cross, using a Phantom drone and off road cameras. Everyone knows that having a car is freedom. Being able to go off road with a 4 x 4 is even more freedom. Toyota certainly created this commercial to show viewers how their lives will greatly improve and the wonderful adventures which lie ahead with their latest Tacoma. This video is very professional and was filmed by Aerial Mob who are real experts in aerial filming. This aerial commercial really captures the sense of adventure which Toyota want to portray. Nice job. Overall, drones are a terrific and inexpensive of filming almost any outdoor brand and location.